(Instructional/Guitar/DVD). Learn the fundamentals of how to strum, use a pick, tune your guitar, and the names of the notes for each string. Then master the styles of rock, fingerstyle, blues, jazz, country, and more. And then study soloing, power riffs, pro chord substitutions, playing up and down the neck, and more! This comprehensive pack includes: 20 complete sessions on ten instructional DVDs, five jam-along CDs, a 100+ page lesson book, 150+ page downloadable resource book, professional instruction, and two DVDs of teacher resources. 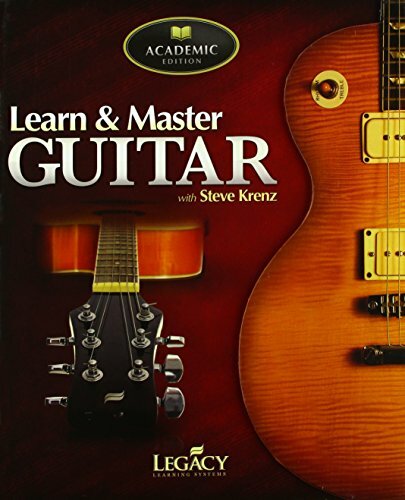 Winner of a Communicator and Telly Award for Education, Learn & Master Guitar Academic Edition is designed for students wanting to learn acoustic and electric guitar from the ground up. This two-year curriculum starts with rudimentary concepts and progresses through intermediate and advanced levels of playing ability all in this easy-to-use program. By following along with the systematic exercises, your student will become a well-rounded, highly-skilled and versatile player.